Musician Meek Mill attends Rihanna's 4th Annual Diamond Ball at Cipriani Wall Street in New York, NY on September 13, 2018. A very satisfying part of the Philadelphia Eagles’ magical Super Bowl run last year was each successive win being punctuated with Meek Mill’s “Dreams and Nightmares”, the kind of song that makes you want to flip a table. The team rallied behind Mill, who was in prison at the time, and made it their soundtrack on the way to a championship. The New England Patriots, who the Eagles beat by a score of 41-33 in Super Bowl LII, came out to Crazy Train by Ozzy Osbourne for last year’s showdown, which was silly. Meek Mill? In a Patriots hype video? It seems like blasphemy, pure and simple. Now, it should be said: Mill, who is indeed a Philadelphia native and a Philly sports fan, is also friends with Patriots owner Robert Kraft. Kraft visited Mill in prison before he was released, and Kraft is also one the headline members of Mill’s new criminal justice reform organization, The Reform Alliance, which will lobby for changes to states' probation and parole laws across the U.S.
PhillyVoice reached out to an Atlantic Records rep for Mill on Friday afternoon for more information about how the song came be a part of the video, but didn't hear back immediately. This article will be updated as that information becomes available. According to a person familiar with the Eagles' video production, the team always has to clear use of recording artists' songs with the artists and their labels. 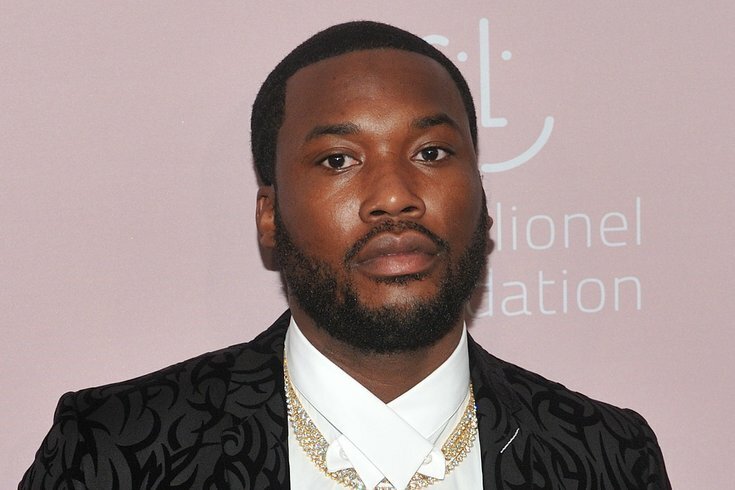 It's possible the Patriots did just that, in which case: how could you, Meek? One way for Eagles fans to spin it: It’s kind of funny that the Patriots decided to use a song called “Wins and Losses” by an artist who inspired the team it lost to in last year’s Super Bowl. Bill Belichick is just another coach trying to catch up to Doug Pederson, it seems. The last time the wrong team tried to use Mill's music, it didn't work so well in the following game. In any case, the Patriots play the Rams on Sunday evening. We'll see if New England comes out of the tunnel to a Meek Mill song.